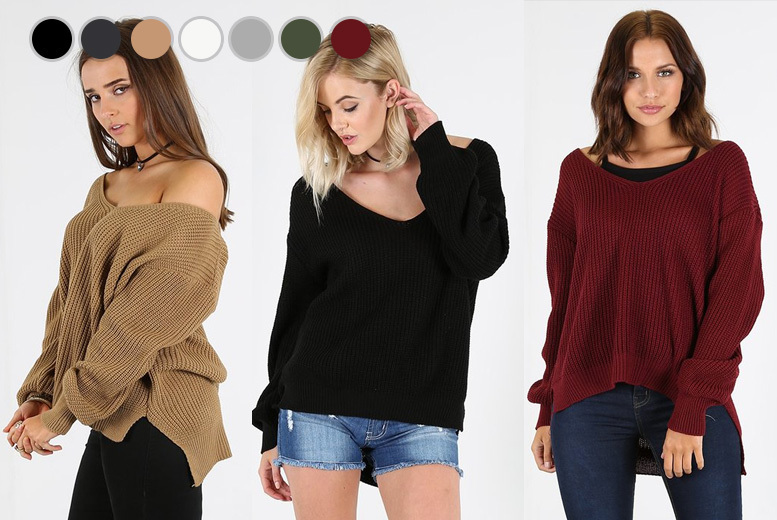 Get yourself a cute and casual oversized jumper! With a relaxed off-the-shoulder fit for a laid-back look. Featuring deep V-neck, long sleeve and chunky knit. With a side split in both sides for a flattering fit. Select your UK size from 8/10, 12/14, 16/18 or 20/22. Choose from black, charcoal, camel, cream, grey, khaki and wine colours.